Halloween is one of my favorite holidays. I would say Christmas first, then Halloween. I really embrace the entire autumn season and watch mostly Halloween themed programs. This year and last I loved watching the Halloween Baking Championship on the food network and Lula loved watching it with me! Since Lula was born I tried to always have everyone in the family have matching or cohesive costumes. One year Lula was a pig and Josh and I were farmers. Last year we were all characters from Wizard of Oz. This year was really the only year so far where I did NOT have everyone match. Lula wanted to be Rapunzel from the get-go so that’s what she ended up being. 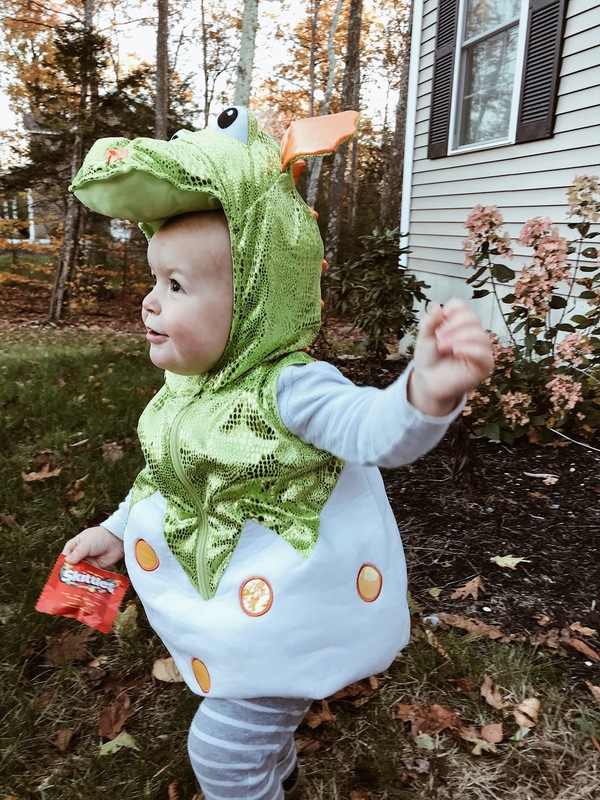 Vaughn was a dragon coming out of an egg, which was decided after I could not find a chameleon costume in his size (to go with the Tangled/Rapunzel theme of his older sister). 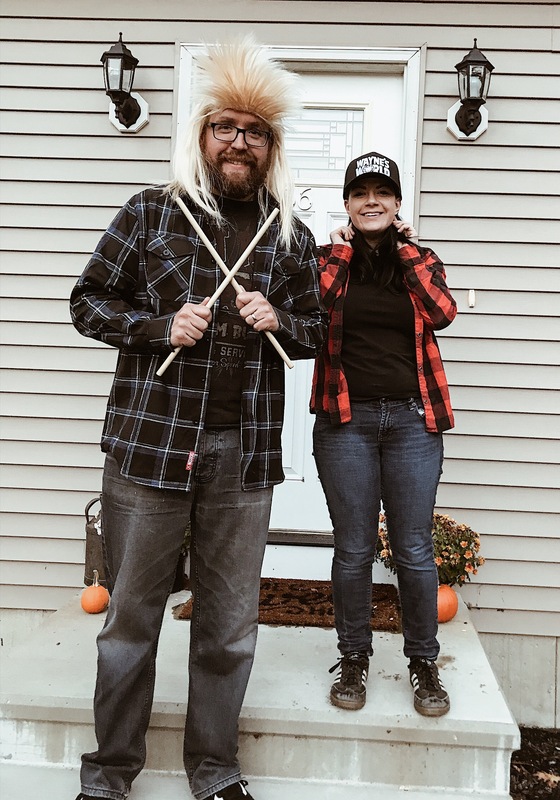 Since my hair was the appropriate length I decided it would be fun for us to dress up as Wayne and Garth from “Wayne’s World”, with me as Wayne. I was happy Josh was able to be home with us to go Trick or Treating in our neighborhood since he has been working long days lately. We live in a pretty rural area so many houses do not get any trick or treaters, this year; however, we received a ton! Many people from other towns come to our road since the houses are fairly close together. 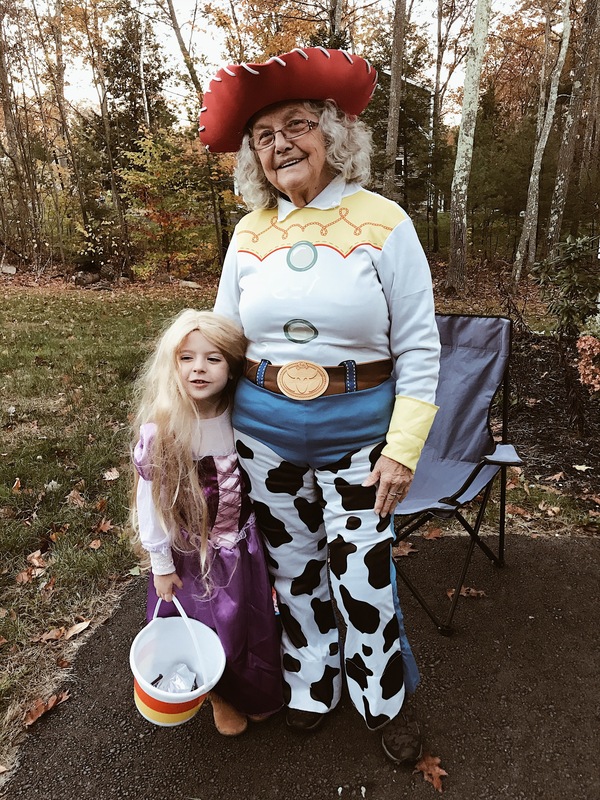 While we were trick or treating Josh’s sweet mother Ruth, dressed up as Jessie from “Toy Story” and handed out candy for the kids coming to our house. 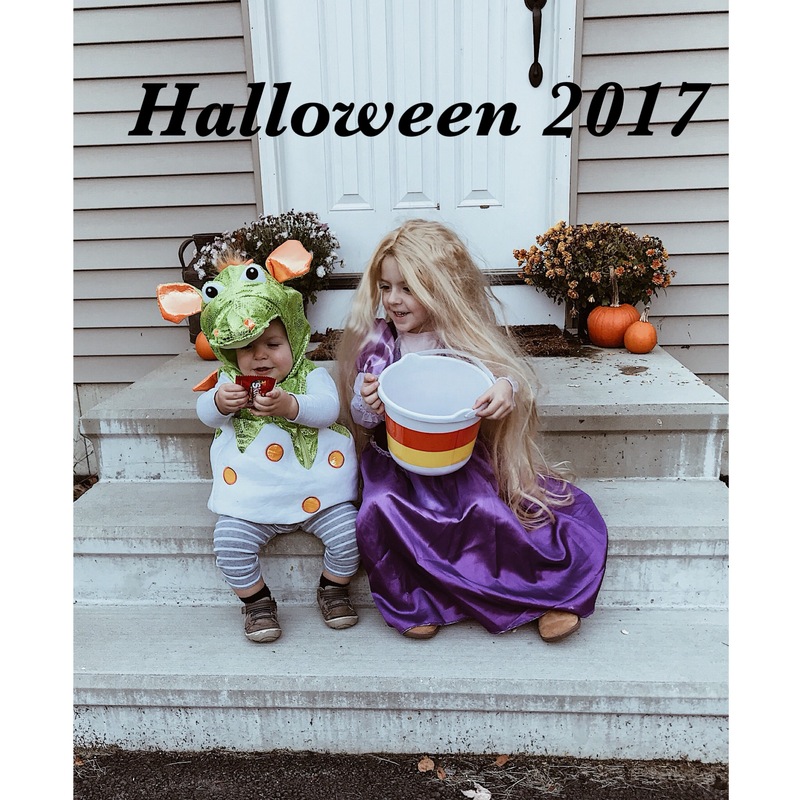 Despite it being super cold, it was overall, a lovely Halloween and it was great that we were all able to participate as a family!